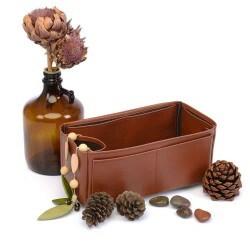 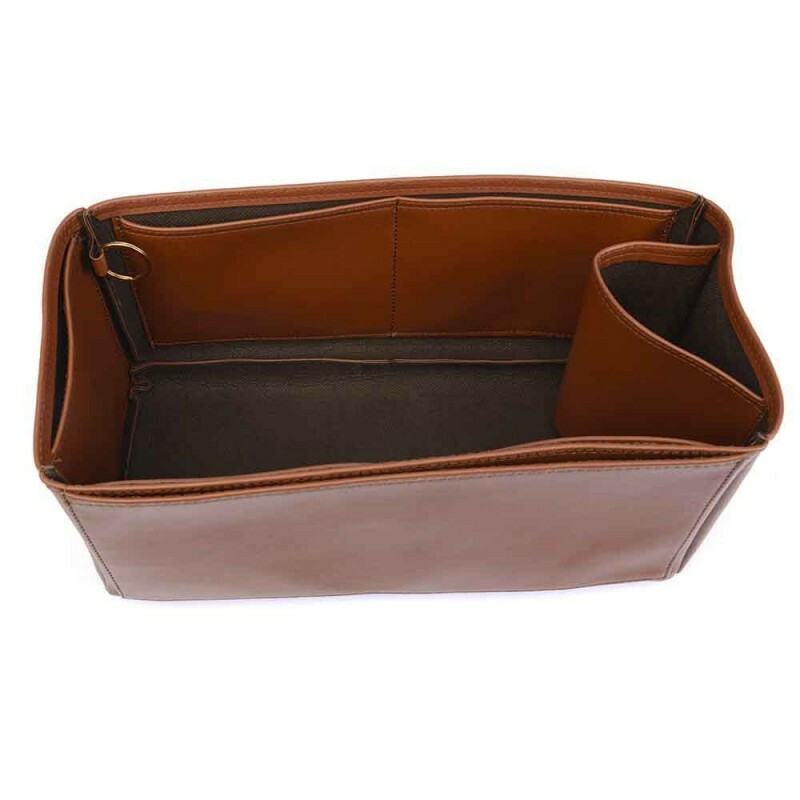 Deluxe Leather Bag Organizer in Brown Color for Cuyana's Classic Leather, Classic Leather Zipper and Classic Structured Leather Tote. 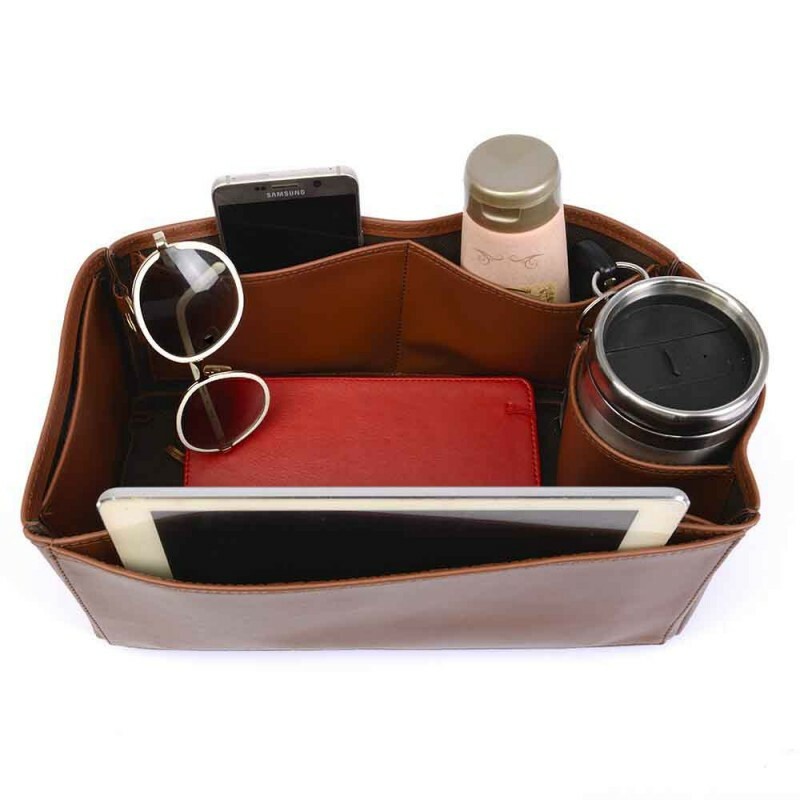 Deluxe leather bag organizers were designed and handcrafted by Original Club for the Cuyana owners. 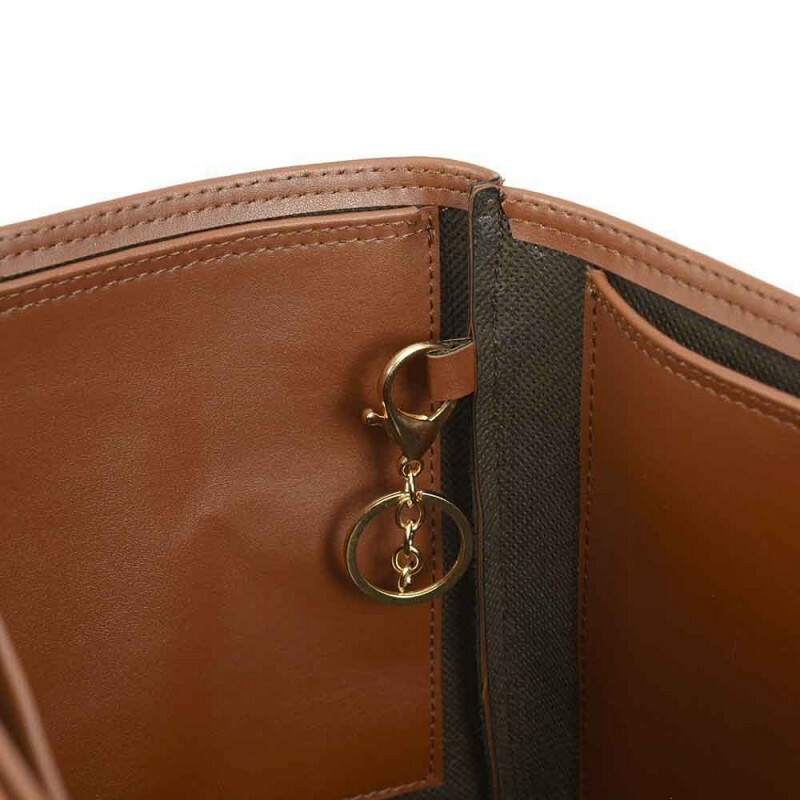 Our deluxe leather organizers come with the gold color metal key ring and lobster hook add-on attached inside the organizer to keep your keys organized and easy to be found in your Classic Leather, Classic Leather Zipper or Classic Structured Leather Tote . 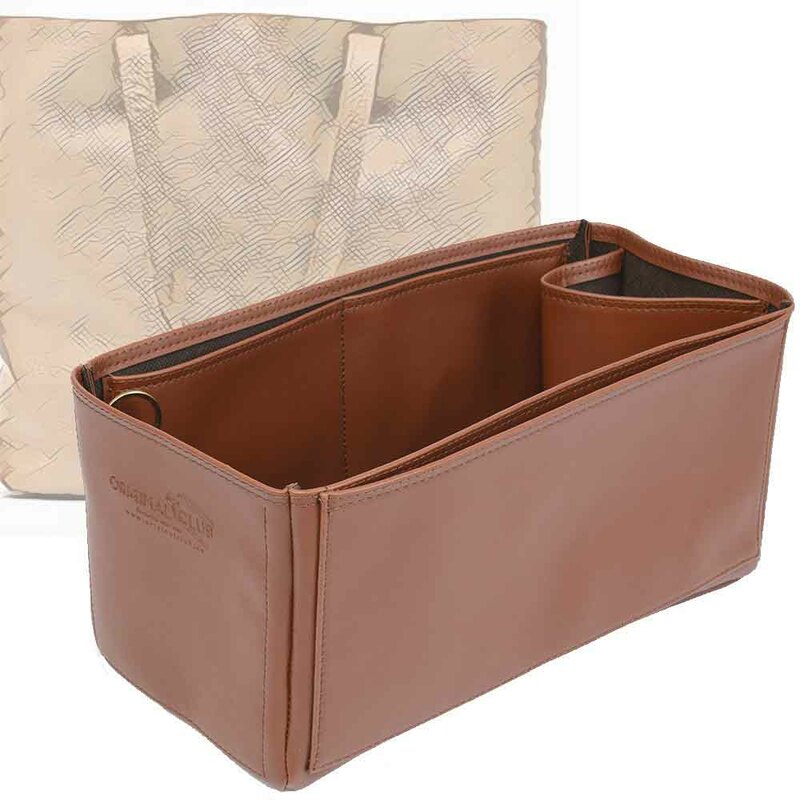 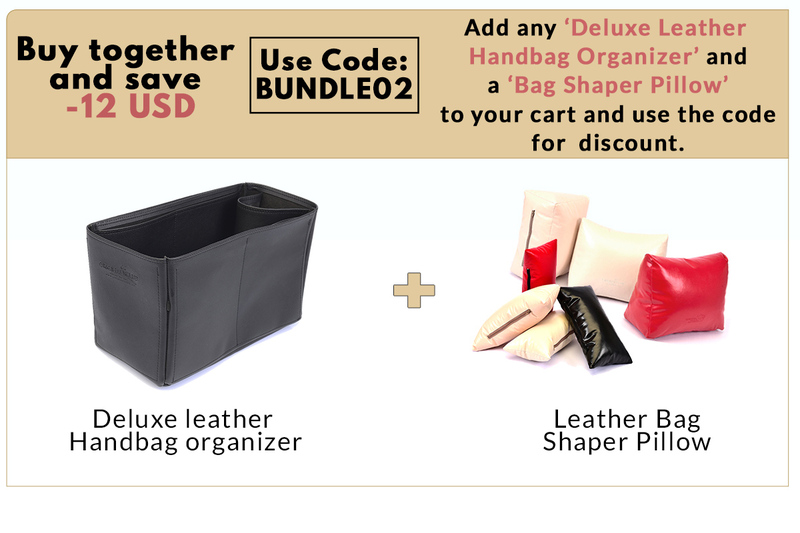 Leather insert organizes and protects your handbag with its luxurious and elegant look while perfectly matching with the lining of the Cuyana Lether Totes. Pocket configuration: Pockets provide with a quick access to personal belongings like cell phones, glasses, keys etc… The liner has 5 interior pockets and 2 exterior pockets (2 regular pockets at each long interior side, 1 regular pocket at the narrow interior side and additional 2 exterior pockets outside ) which were adjusted according to the overall liner size. 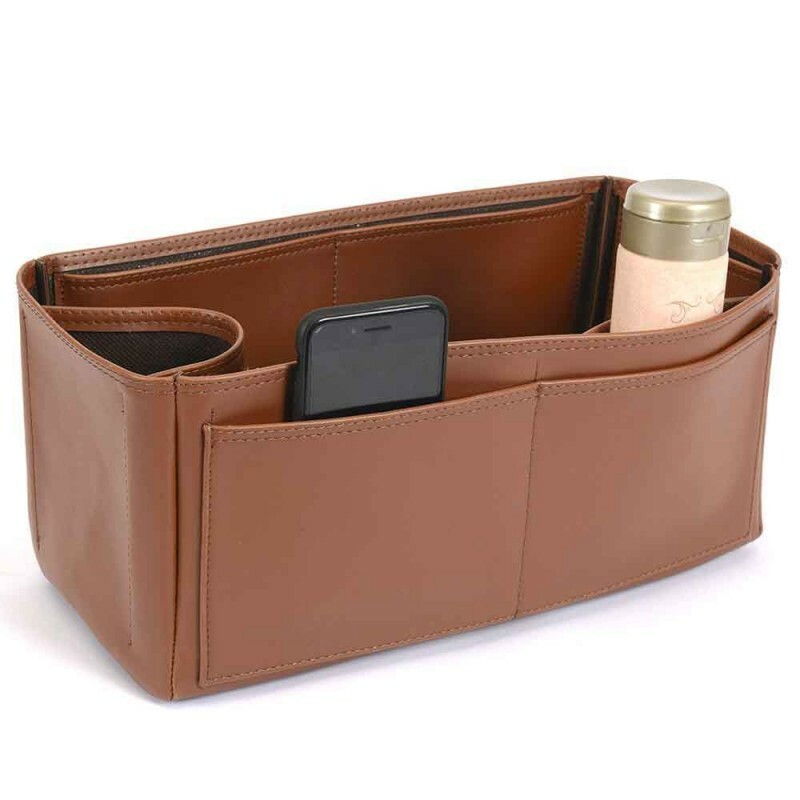 The liner has 1 round holder to accommodate bottles and other circular stuffings. 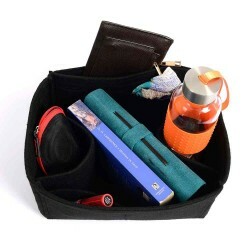 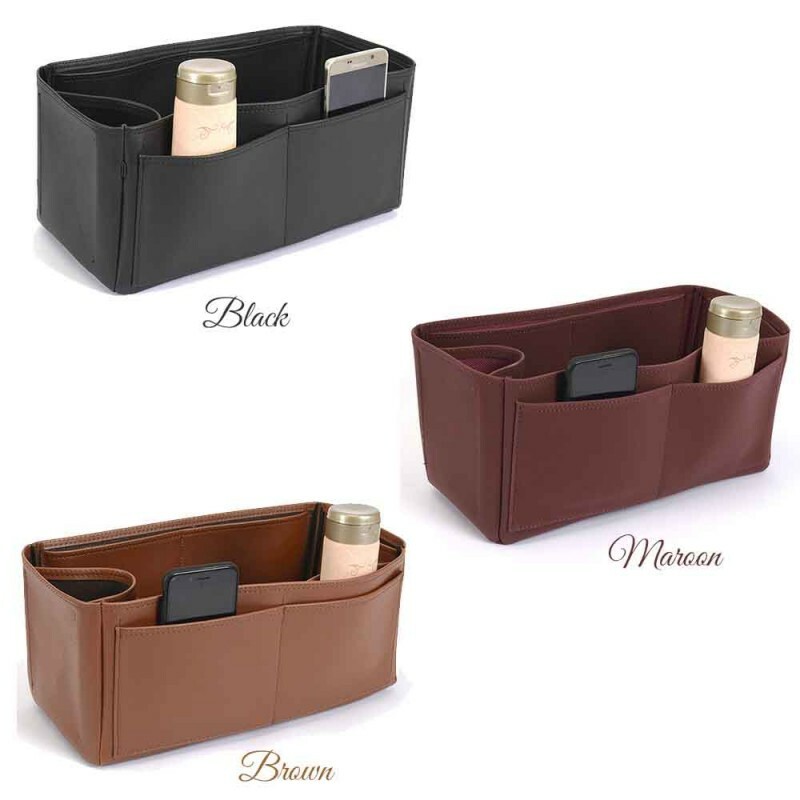 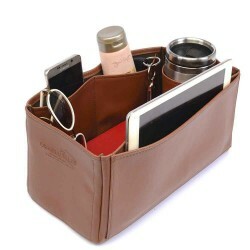 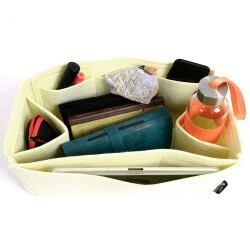 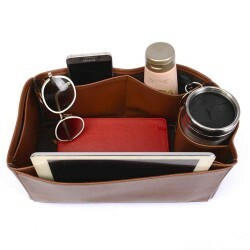 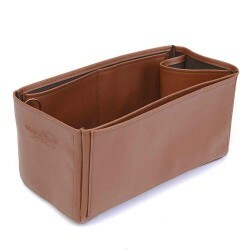 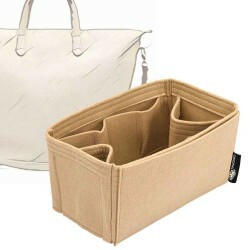 1 Long pocket at the long side of the liner can accommodate tablets, slim type of laptops or books. 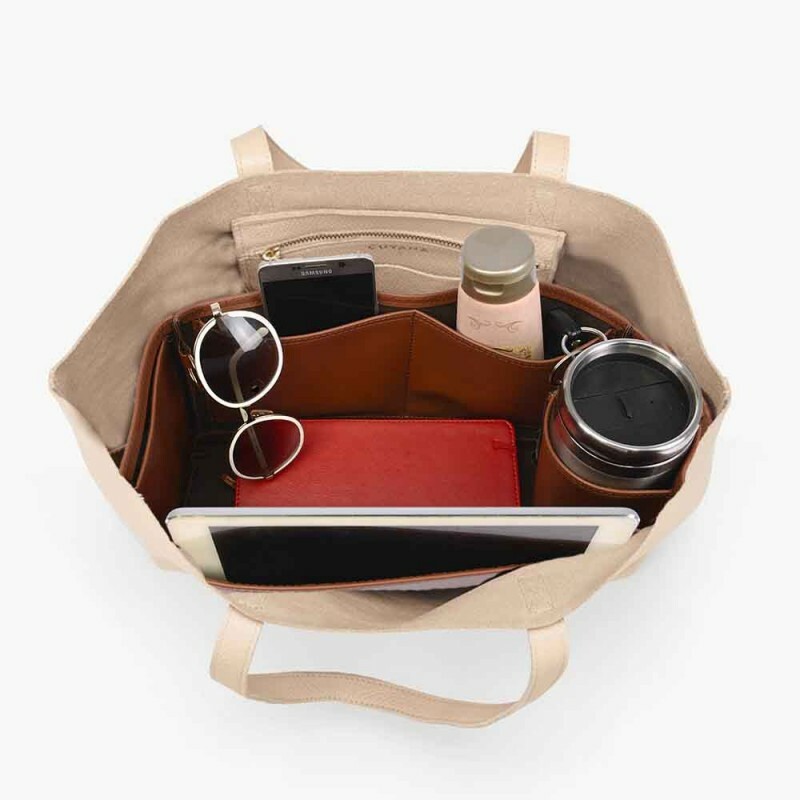 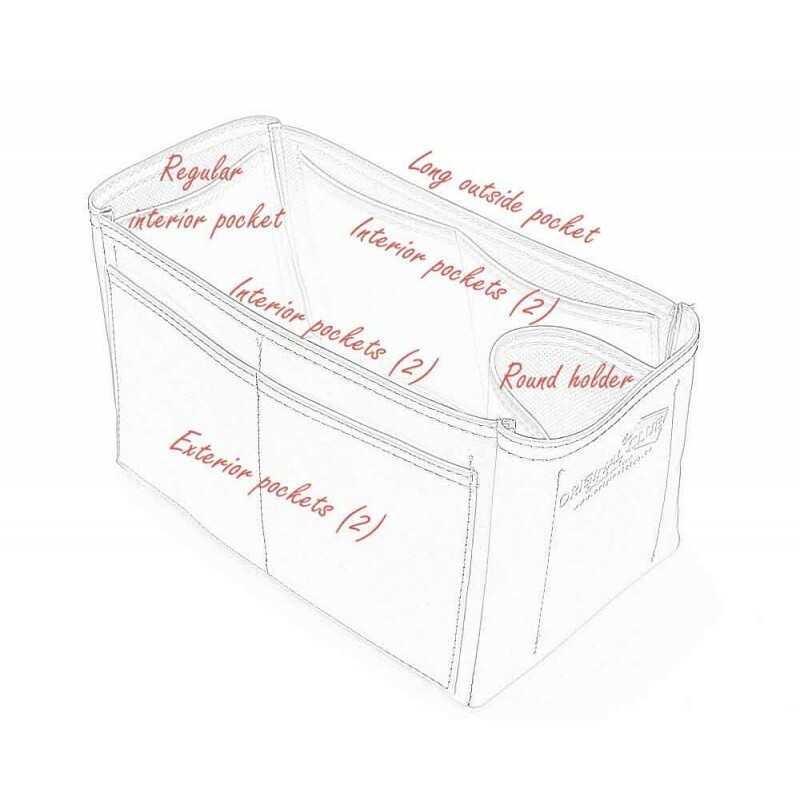 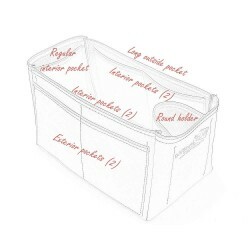 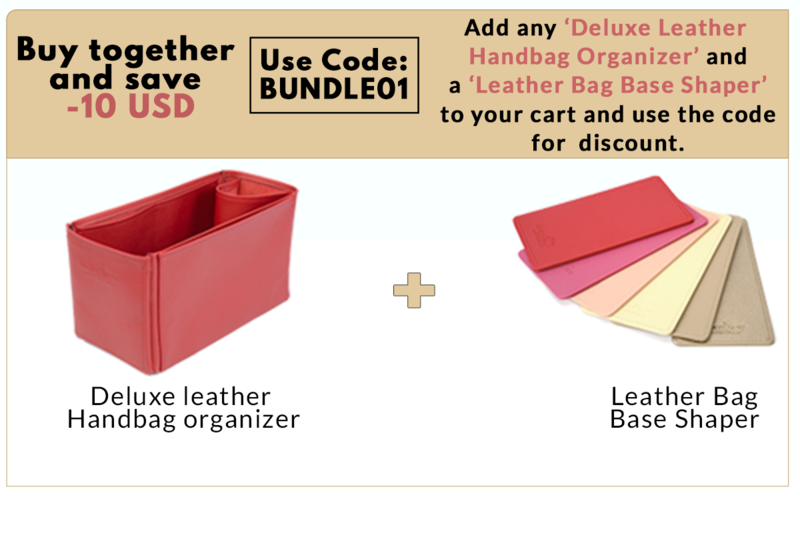 The deluxe leather Organizer for Cuyana Leather Totes has 9 pockets in total. 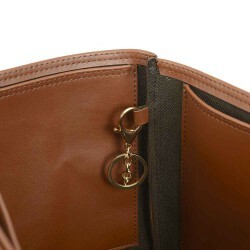 Fits in Cuyana's Classic Leather, Classic Leather Zipper and Classic Structured Leather Tote.